We know, we know -- last year we said there were reasons to get excited for Chicago baseball and then neither team made the playoffs after posting identical 73-89 records. But guys. GUYS. This year, for real, no matter which club you root for (or how annoyingly you choose to do so), there are actual, legitimate reasons (even non-baseball ones!!) 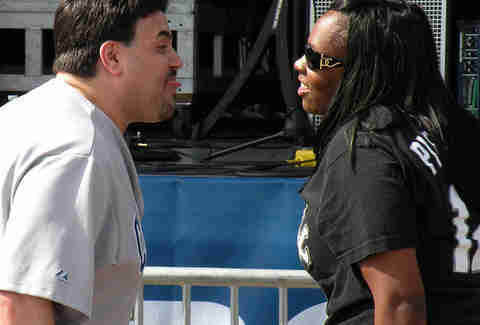 you should be excited for Chicago baseball, on both sides of Roosevelt. We know who they are (or at least, some of us do), but for those who don’t, let’s recap: third baseman Kris Bryant is the leader of a group of Cubs prospects that's rated baseball’s best heading into this season. Several scouting services have Bryant ranked as the No. 1 Major League prospect, followed not too far behind by Addison Russell (No. 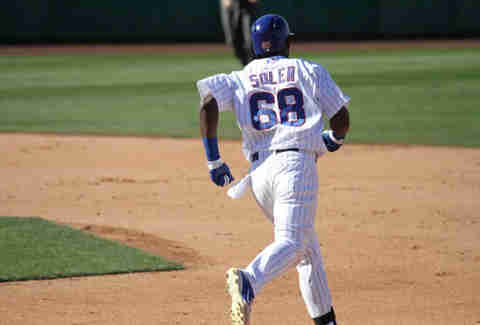 3), Jorge Soler (No. 12), and Kyle Schwarber (No. 19). And scouts know stuff. Probably. 2. 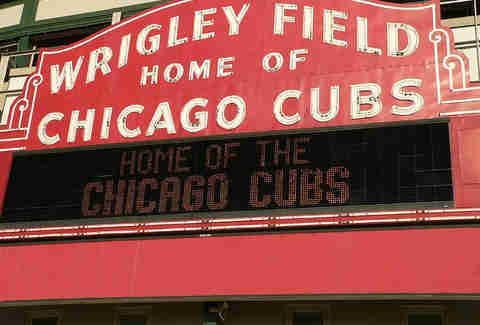 The Wrigley renovations will be finished... eventually! The left field bleachers, which were torn down to make room for expansion, won’t be done by the time the team hosts the Cardinals in the first game of the Wrigley reboot (in fact, they won’t be ready until May 11, last we’ve heard), but the new videoboard IS totally on track for an Opening Day debut. And boards that play videos are damn sure something to get excited about. You know José Abreu is some sort of ball-crushing robot from the future, but what you probably don't is that the White Sox also have one of the best rotations in the game. Like, top-10 heading into 2015 according to pretty much every person who writes a list that ranks such things. 4. Tailgating = still a thing! If you’re in the South Loop, stop by Reggies. They have a buffet and a sweet new roof deck. Also, if you buy tickets from Reggies for the game, you can score a free ride to The Cell and back aboard the infamous party bus. 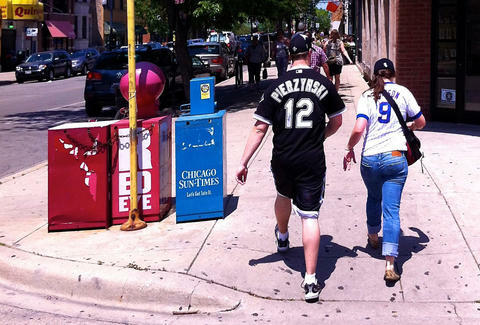 You can also park for free with a meal at Chicago’s oldest bar Schaller’s Pump, located a 15min walk from The Cell, then stop by Morrie O’Malley’s after the game to follow your ballpark hot dog with... another hot dog. And if you had too much to drink and need to crash nearby, check out the totally under-the-radar Bridgeport Bed and Breakfast -- a little-known B&B gem hidden above the Polo Café (ranked No. 4 of 8,269 restaurants in Chicago on TripAdvisor). 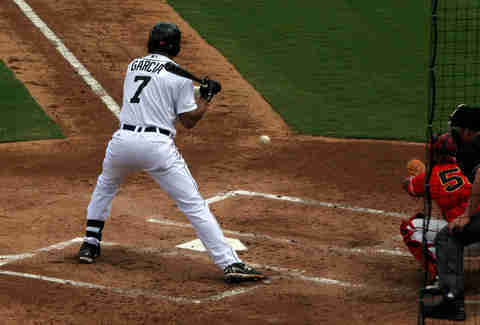 He got injured early last season after coming to the Sox in the Jake Peavy trade, which means we still haven't gotten a full season of White Sox right fielder Avisail Garcia -- nicknamed “Lil' Miggy” because of the striking resemblance he bears to Detroit Tigers slugger Miguel Cabrera. 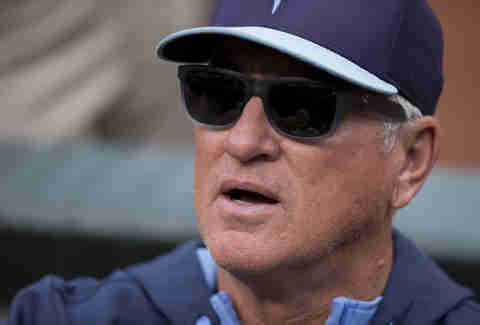 Former Rays skipper Joe Maddon took a team of young up-and-comers (like the Cubs) to the World Series. He's now a Cub. Jon Lester already has a couple of World Series rings. 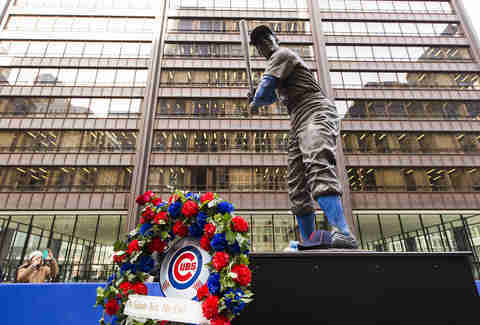 He's now a Cub, too. Dexter Fowler and his speed/leadoff hitting skills? Cub Cub Cub. 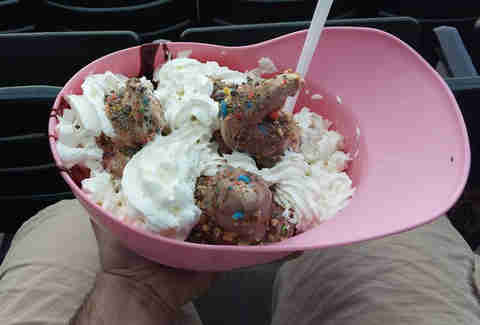 We once described this sundae as a “supremely gluttonous, 12-scoop banana split sundae that will come in a full-size batting helmet, complete with four scoops each of vanilla, chocolate, and strawberry ice cream.” And we stand by it. The Cubs righty pitched two one-hitters and three two-hitters. Does the dude have a no-no in him in 2015? We say yes... -yes. Paulie will have his jersey officially retired on May 23. 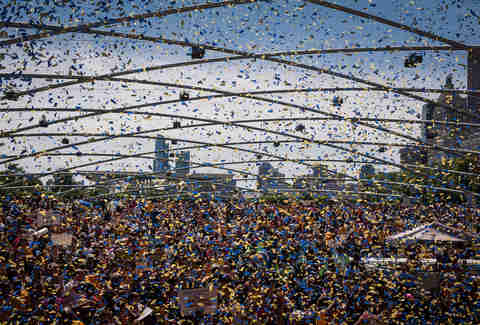 And during the weekend of July 17-19, the Sox will honor the city’s most recent World Series title winners with giveaways, replica World Series rings, and tailgate flags. Free stuff = the best reason to get excited. 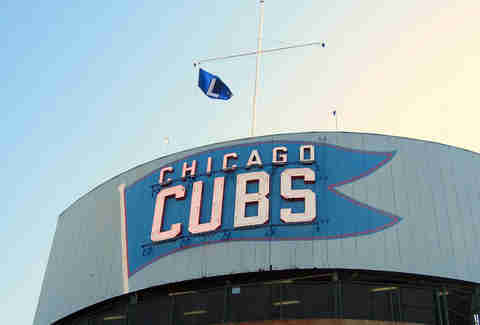 Or at least according to 25-year-old infielder Anthony Rizzo they will. Bless his optimistic heart. Evan F. Moore is a Chicago-based political sportswriter whose work has appeared in The Nation, Chicago Tribune, The Shadow League, RedEye Chicago, Chicago Reporter, Huffington Post, and Community Media Workshop’s We Are Not Alone/No Estamos Solos project on youth violence. Follow him on Twitter @evanfmoore.